Think about it—I might be right. It’s hard to tell what’s even happening in the the trailer for Tokyo Project, an “HBO short film presentation” executive produced by Lena Dunham and Jenni Konner, starring Elisabeth Moss, Ebon Moss-Bacharach, and the city of Tokyo. 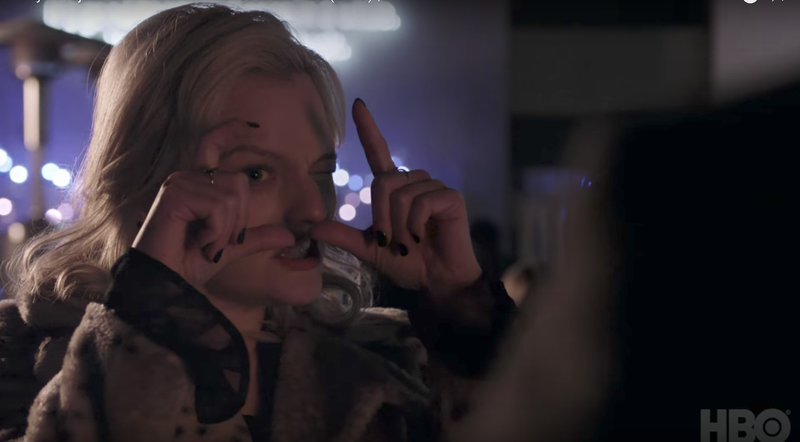 But almost everything I do know about this leads me to believe that Elisabeth Moss, platinum blonde and clad in a leopard print faux-fur coat, is a ghost. That description is vague enough for me to ascertain that maybe, just maybe, Elisabeth Moss, the “mysterious woman” who is also possibly “elusive,” is definitely a ghost. She’s a photographer named Claire—one who takes pictures of “perfect things, imperfect things.” Moss-Bacharach, best known as Desi in Girls, is some sort of businessman named Sebastian who wears a brown suit and wanders around Tokyo. They interact only with each other from what I can tell, which is definitely something that ghosts and the people who see them do.The only other evidence I have are the brief bits of dialogue from the trailer, the most damning of which is the following exchange. “She’s there, but she’s not,” Moss-Bacharach says. Thought it would be exceedingly obvious for Moss to actually be a ghost, I’m sorry to say that all evidence points to the fact that yes, she is indeed, a ghost. We can find out together on October 14 when Tokyo Project airs on HBO.